How do you determine what recipe to cook? When trying to decide on a dish to prepare for culinary management it is a simple question to ask yet arriving at an answer not so much. A lot can be riding on what you plan to cook and building a strategic menu is critical to help drive popularity and revenue in the culinary business. How can technology help? With the use of a social search and analytics engine you can search for the perfect recipe to a dish that will win over audiences. 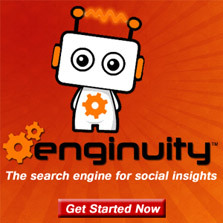 It’s simple and fast just by searching with Enginuity. The social search will help find positive and popular recipes that people across the web and social networks like Facebook, Twitter, Pinterest, Stumbleupon and many more have shared. 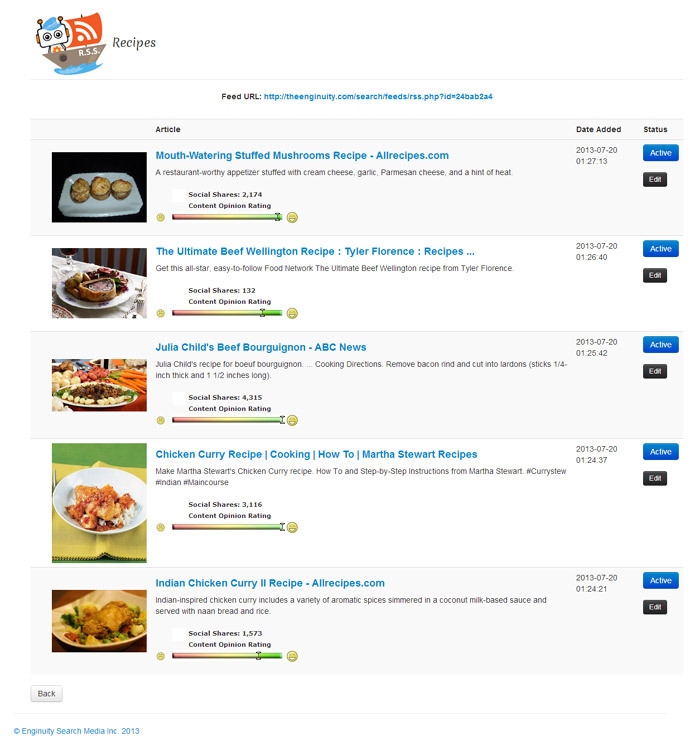 And with automated opinion ratings and social commentary ratings you can quickly find recipes that ‘wow’ people across the globe. How can I save these great recipes? 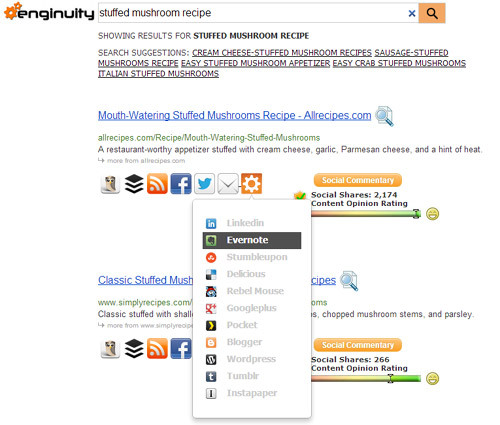 With the help of Enginuity you can easily save awesome recipes directly from search results to your Evernote, Instapaper or Pocket account for later reading and organizing. 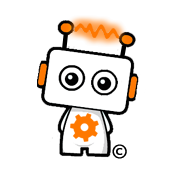 You can also save recipes to custom RSS feeds with Enginuity for later viewing and build an aggregated menu that can also import into other services. Finding authentic popular recipes that are socially relevant can be a fun and rewarding experience to cook to!